Wouldn’t it be great if you could burn calories without going to the gym or using training equipment? And, what if, as a bonus, you could do so in five minutes? Here’s the good news: With the following cardio exercises, you can! 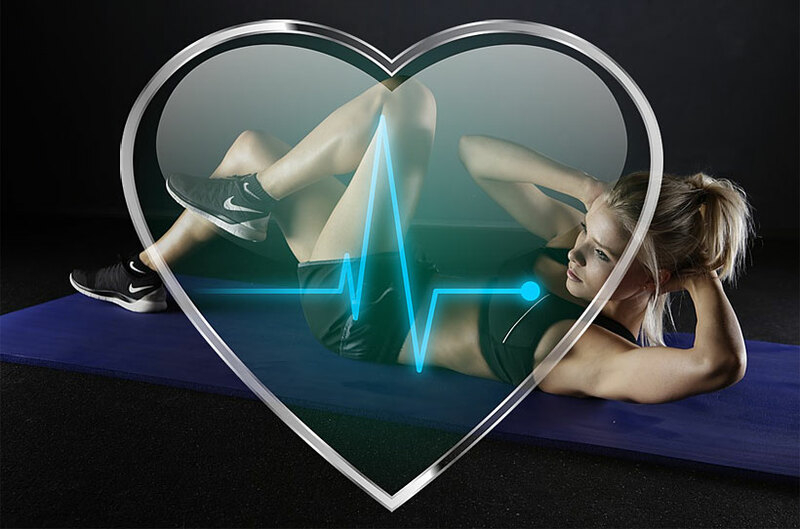 Lasting only five minutes, these exercises boost your heart rate, blood circulation, and endorphin production. To get the most out of the exercises, pick one and do a set for a minute. And while you’re at it, cram into it as many reps as you can. Next, pick another and do likewise until you complete all five exercises in five minutes. The effect of the surfboard hop, and indeed that of all the following exercises, mimics that of the Best Rowing Machine for Tall Person or even a short person. In short, it boosts your metabolism for 24 hours, during which you keep burning calories. With that said, how do you get started? After spreading your feet, but not too much, spread out your arms until they’re parallel to the floor. Then, drop into a squat before jumping up. Before landing, pull in your arms and knees in the direction of your chest. Also, spin 360 degrees and face your back. After landing, bend your knees and end the set in a squat. Now, repeat the procedure, alternating between the front and back until a minute elapses. Imagine being a jack-in-the-box puppet, jumping from inside a box. But in this case, your box has four divisions into which you jump up and down. First spread your arms wide and jump forward before moving to the right and then to the left quadrant. Now jump backward and then into each of the rear quadrants alternately. With both palms flat and the tips of your feet touching the floor, suspend your body in the air. This is the plank position. Now, bend the right knee while lifting the right foot until the heel points up. As for the left leg, also bend it at the knee before jumping on the left foot, but to your left side. Now, jump back to your original position then back to the left again. Repeat for half-a-minute before switching over to the right leg. Spread your feet wide and bend your knees. And while moving your arms, run on the same spot. To making this set effective, also do two things. One, lift your feet off the ground as high as you can. And two, keep arm movement natural. Stand straight, feet touching and arms touching your side. Next, step forward with your left leg as you extend your right leg outward. Then, drop down while leaning forward and touch the floor in front of the left foot. The next step is jumping up, bringing hands together over your head, and bringing your legs to touch. And when landing, bend your knees. Now repeat the exercise with the other foot. Can your body burn calories when you’re at rest? Yes, it can if your metabolism remains elevated for long periods. Fortunately, that’s just what 5-minute cardio exercises do. Fast and effective, they boost your metabolism long after you’ve stopped exercising.